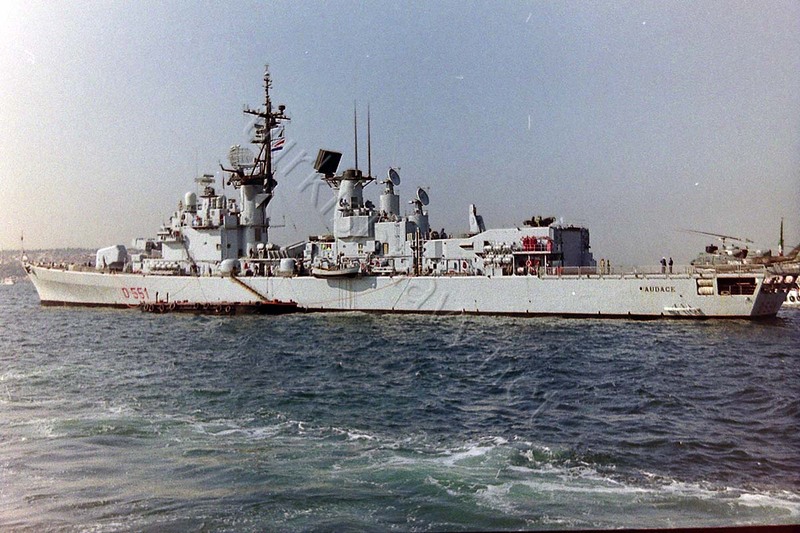 This is Italian warship D-551 ITS Audace. Armed with a 127mm main gun 4 76mm secondary guns, Sea Sparrow and SM-1 Standard anti-air missiles and Otomat anti ship missiles she was a deadly ship. This photo is probably taken in 1992. 04.05.2014 A-5340 Elettra Southbound Italy; 4 May? It’s a mistake?? Yes it’s a mistake. I have corrected it. The correct date was 4 July 2014. If Italians struggled coming up with a design of their own, what are Turkey’s chances of developing an indigenous AAW ship with very probably a smaller budget? It just doesn’t add up.